It's the 1950's in Buffalo, the hey day for our city's mobsters. Don Stefano rules 'The Organization' with an iron fist and when he shows-up dead at his own birthday bash, there is no shortage of suspects. This funny interactive murder mystery dinner mixes real life characters from Buffalo's most notorious mobsters and an ingenious plot that will keep you guessing. 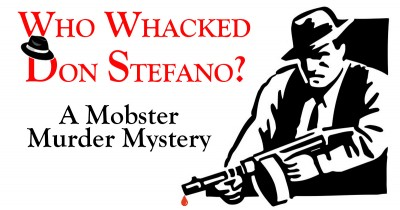 Four Friday evening performances of "Who Whacked Don Stefano?" are offered in March and April. Tickets for the dinner and entertainment are $57 pp.